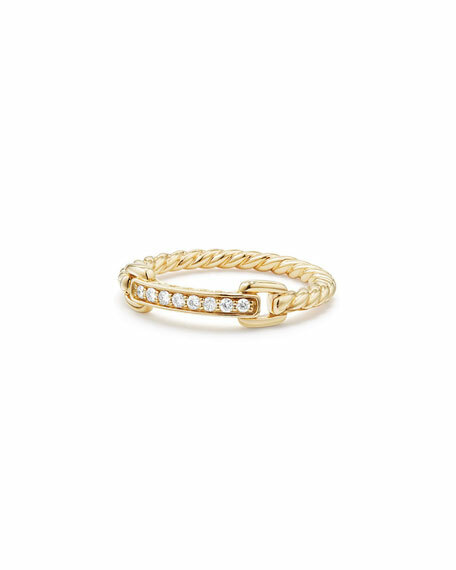 David Yurman bar ring from the Petite Pavé Collection. Polished 18-karat yellow gold cable band and settings. Signature cable band with center diamond pavé bar.